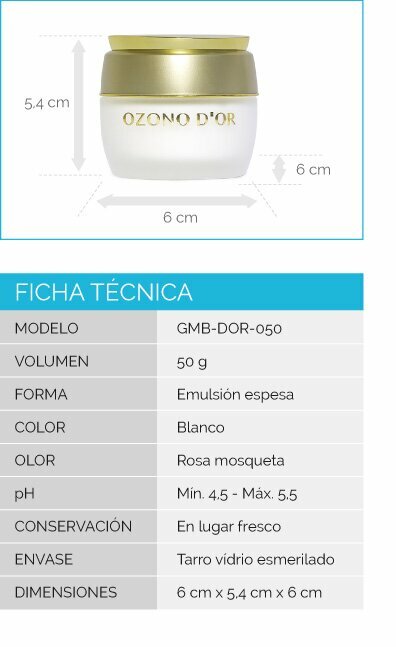 Delays the appearance of wrinkles and expression lines. Prevents dryness of the skin due to its content of olive oil. Useful in dry and irritated skin. Olive oil contains polyphenols, which are antioxidant compounds whose function is to prevent the proliferation of free radicals, protecting cells from damage and cellular aging. Stimulates the production of collagen, elastin and other protein molecules responsible for hydrating, giving elasticity and protecting the skin. Removes stains from the face caused by the sun or some medications. The OZONO D’OR Facial Night Care Cream is the best ally to eliminate wrinkles by stimulating the natural production of collagen, elastin and other protein molecules. It returns to the skin its lost elasticity, revitalizing it and restoring its ideal internal structure, slowing the appearance of wrinkles and spots on the face. 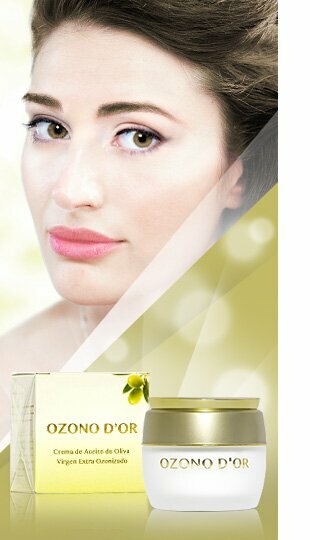 Extra Virgin Olive Oil with ecological certification: has a high moisturizing power, and creates an occlusive layer that prevents the loss of water, which helps our skin maintain its elasticity and its "barrier" function. It has antioxidant capacity, and prevents irritation of the skin and mucosa. 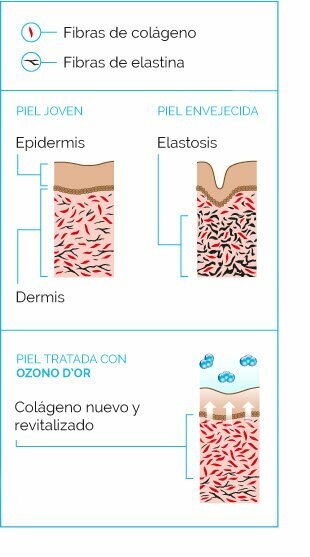 Activates the 2-3 DPG, which is an organic molecule that acts on mechanisms related to blood circulation and, therefore, improves the fluidity of the microcirculation and the cellular metabolism of oxygen, in this way the skin is more oxygenated and is maintained healthy and revitalized. It helps in the repair of wounds and guarantees a healthy future. Vitamin E has a great antioxidant power, anti-aging, protective and regenerative of the skin by the sunburn wounds, since it acts as a sunscreen preventing the penetration of ultraviolet light thanks to alpha-tocopherol. It was also scientifically proven that the application of vitamin E prevents the development of skin cancer induced by this radiation, among other benefits (Cuerda et al., 2011). It has a high moisturizing and healing power (scars and stretch marks). Its main function in the cells is to act as an antioxidant protecting them from a set of highly reactive chemical agents called free radicals, which can attack and inactivate a great diversity of biomolecules including proteins, nucleic acids and lipids, thus being one of the causes of aging processes. Cuerda, C., Luengo, L. M., Valero, M. A., Vidal, A., Burgos, R., Calvo, F. L., & Martínez, C. (2011). Antioxidantes y diabetes mellitus: revisión de la evidencia. Nutrición hospitalaria, 26(1), 68-78. Wrinkles on the face and neck. Hyperpigmentation caused by a history of inflammation in the skin, medications, endocrine diseases, hemochromatosis or excessive exposure to the sun. It is a semi-solid preparation formulated to achieve a local release of the active compounds, in addition to its emollient and protective action. Homogeneous appearance, constituted by a natural origin base of several phases, with hydrophobic properties. It is a lipophilic cream. Apply a thin layer on the face and skin, and extend circularly until it penetrates completely. Ingredients: Ozonized Olea europeae oil, Helianthus annuus seed oil, Aqua, Cetearyl alcohol, Cetearyl glucoside, Cera alba, Glycerin, Parfum, Vitis vinifera seed oil, Xanthan Gum, Tocopherol acetate, Sodium chloride.